Lisa Taylor-Austin, NCC, LPC, LMHC, CFMHE, CFBA is a National Certified Counselor (23147), Licensed Professional Counselor (CT-001282); Licensed Mental Health Counselor (NY -001617), National Certified Forensic Mental Health Evaluator (0023) and a National Certified Forensic Behavioral Analyst (005). She has trained been trained by Dr. Gregory Vecchi, Chief (retired) of the legendary Behavioral Sciences Unit of the Federal Bureau of Investigation (FBI). After intensive training and passing a rigorous written examination, she became the fifth person in the nation and only professional in Connecticut to hold the distinction of national board Certified Forensic Behavioral Analyst. She has been trained by Dr. Vecchi in behavioral aspects of active shooters, conflict and crisis management, psychopathology, active listening in crisis situations, threat assessments at work and school settings and working to support a hostage negotiation teams. Ms. Taylor-Austin holds a Master of Science in Counseling from SUNY Brockport (CACREP accredited) and a Bachelor of Science in Developmental and Behavioral Disabilities with a minor in African-American Studies & Health. She also completed post-masters coursework in counseling, education, gangs and substance abuse at SUNY Brockport, California State University at Los Angeles, Loyola Marymount University, and the University of New England. Ms. Taylor-Austin has been an instructor for Yale University, Loyola Marymount University and the University of Southern California. 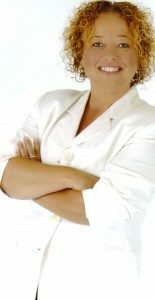 She has been a clinician since 1988 and has worked in forensics since 1997, as a gang expert and mental health expert. As a National Certified Forensic Mental Health Evaluator – Diplomate Status (CFMHE) she knows the important role that understanding mental health issues has in the community: workplace, school, courtrooms. Ms. Taylor-Austin holds the distinction of being the only Certified Forensic Mental Health Evaluator and Certified Forensic Behavioral Analyst in the state of Connecticut. Having experience since 1988 working with children and adolescents, Ms. Taylor-Austin understands child and adolescent issues and the educational systems. She has worked in K-12 public and private school settings, as well as collegiate settings on the west and east coasts of the country. Ms. Taylor-Austin holds Professional membership status in the American Counseling Association (ACA) and serves on the Board of Directors for the Forensic Social Sciences Association in San Francisco, California. She is also an Associate Member of the Florida Gang Investigator’s Association (FGIA).